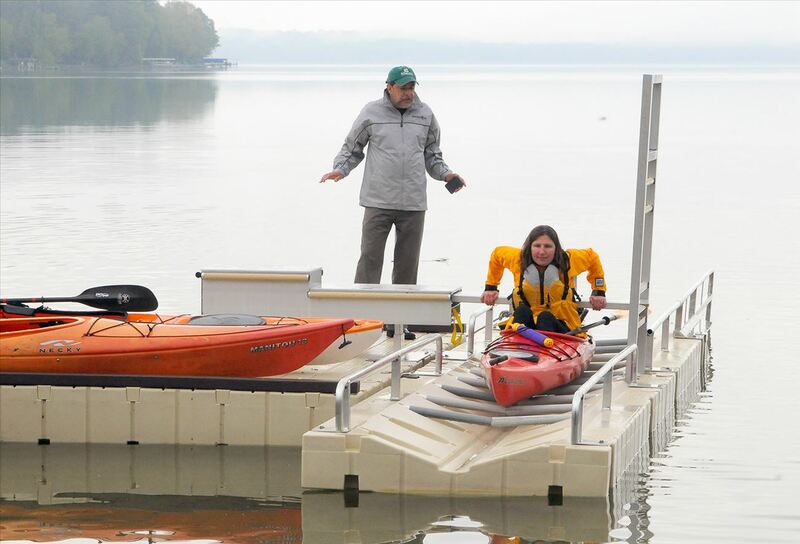 There is a barrier free kayak dock and launch. Swimming beach and park are also available at the site. Portable restrooms are available Memorial Day to Labor Day. Parking is across the street and no parking is allowed from 2AM-5AM. When paddling north on Elk Lake to this site, you may use the cell tower as a good guide to where this site is located. Public restrooms are available (Portable Toilet).